The UBC Digital Multimedia Lab was founded and directed by Dr. Panos Nasiopoulos. The Lab focuses on research and development in the areas of High Dynamic Range video coding, Multiview and 3D coding, interactive multimedia (i.e. iDTV and DVD), digital video broadcasting and streaming, digital video indexing and retrieval, digital video security (including watermarking), video processing and compression, HDTV and Digital Cinema. 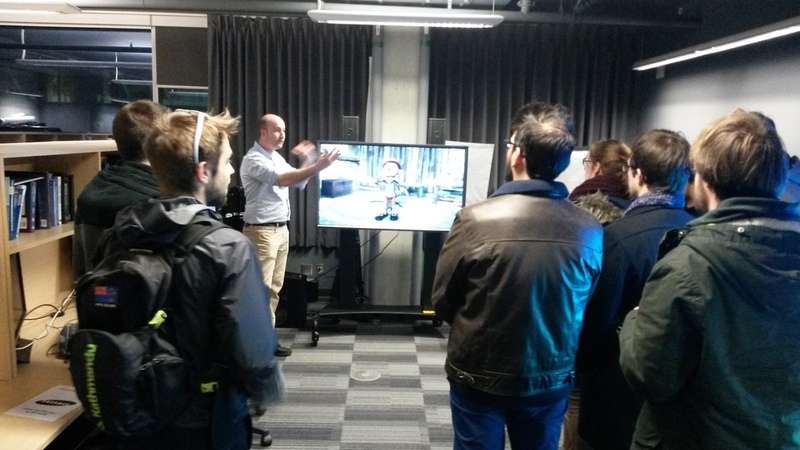 The lab tour will consist in two demos: future of 3D and High Dynamic Range. Ronan Boitard is a Post-Doctoral Fellow at the University of British-Columbia (UBC). Before coming to UBC, Ronan received the M. Eng Degree in Electrical Engineering from the “Institut National des Sciences Appliquees (INSA)” in 2009. He worked as an engineer in a national French research lab (INRIA) on the standardization process of the new standard video codec HEVC. In 2011, he began a PhD with Technicolor and IRISA on High Dynamic Range Technology, more specifically on Video Tone Mapping and Temporal Coherency. His current interests of research are High Dynamic Range video and its impact on the distribution pipeline, Color Pixel Encodings in Video Compression scheme and Video Retargeting for calibrated displays. A maximum group of 12 people is allowed at the same time in the lab so we will organize two 30-minute tours so that 24 curious people can have the chance to visit it!